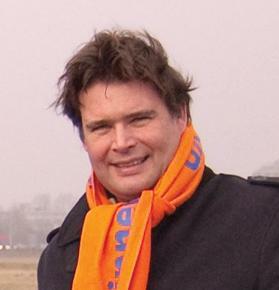 Frans Weekers, the Dutch State Secretary of Finance Minister. The Dutch Government is reviewing double taxation treaties with developing coun­tries to determine if they are unfair and should be renegotiated, State Secretary of Finance Minister Frans Weekers said. The decision to examine the treaties, some of which date back to the 1950s, came after several studies found that emerging economies are losing revenue due to low tax rates set in the deals. It also comes amid a growing international effort to halt tax dodging by multinationals. The Netherlands has more than 90 double taxation agreements. Several thousand international corporations, including 80 of the world’s largest, use the Netherlands to re-route profits from dividends, royalties and interest, often paying no withholding tax in the country of origin. From the Netherlands, capital can be transferred to tax havens, often reducing tax rates to below 10 per cent. The use of holding companies known as “brass-plaque” companies has led to annual capital flows of €8 trillion, or more than 10 times annual Dutch GDP. “These investments via the Netherlands are a problem because they involve unin­tended use of Dutch tax treaties and investment treaties,” said tax researcher Francis Weyzig of Utrecht University. The Government com­missioned the outside study into its dual taxation agree­ments with Bangladesh, Ghana, Uganda, Zambia and the Philippines, a spokesman for the Ministry for Development said. It was launched shortly after Mongolia cancelled its treaty with the Netherlands, accusing the Dutch of facilitating fiscal avoidance. Weekers said the study would determine if rich countries have won better terms than developing ones. A June study by the Centre for Research on Multinational Corporations found that use of the Dutch tax system by multinational corporations causes €771 million in annual lost tax revenue in 28 developing countries. There are at least 12,000 “brass-plaque” firms known as special purpose institutions in the Netherlands. In 2010, €278 billion in dividends, royalties and interest were channelled through them. The companies create roughly 13,000 jobs and generate €3-€3.4 billion in annual income for the Dutch economy through taxes, wages and services, less than half a per cent of annual GDP, a govern­ment-backed study by Amsterdam University’s Centre for Economic Research found.